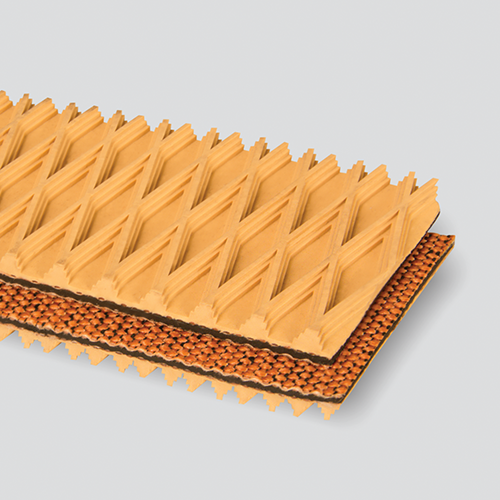 Sometimes referred to as “wedgegrip”, our tan non-marking diamond shaped profiled design has high coefficient of friction for exceptional gripping capabilities. Popular for cases, parcels, and bagged goods. It is also used for aftermarket belts for the US post office. Thickness / Overall Gauge: 0.31"